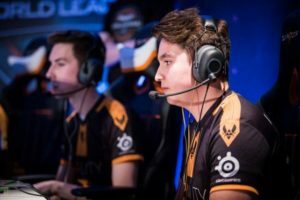 Having recently qualified for the CWL Pro League, the French roster of Overtime comprises of a mixture of experience and some emerging new talent that has developed through local LAN tournaments and online performances. The roster consists of Wailers “Wailers” Locart, Nathan “Natshay” Dupuis, Paul “Breszy” Breszynski, Ryan “Zeek” Lapierre and Lucas “RizK” Derambure. As one of the few teams that have risen through the ranks of the continental European Call of Duty scene, Overtime shocked the community at the CWL Pro League Qualifier where they were able to defeat Pool C winners Midnight Esports and a strong Pittsburgh Knights team that were heavily tipped to secure a place in the league. It has been several years since a French team has been able to contend and defeat rosters that look superior on paper. The recent resurgence from continental Europe hasn’t come as a surprise, the Spanish teams of Heretics and Movistar Riders have now established themselves as top opposition on Black Ops 4 and have shown that the French and Spanish teams should not be taken lightly anymore. Wailers: The Next French Monster? Since the retirement of the original “French Monster” Corentin “Gotaga” Houssein, Wailers has been billed as his successor for the last three seasons. Despite this, he has yet to live up to the potential and promise that he has shown in previous titles. Along with the rest of his team, his exceptional performance as the main Assault Rifle (AR) slayer of the team made for a solid combination of explosive sub-machine slaying, passive AR covering fire and constant pressure from the flex players. After some lacklustre performances in previous seasons, Black Ops 4 is a chance for Wailers to prove that he is still one of the top European players if Overtime can deal some significant damage at the CWL Pro League this year. In the early years of Call of Duty esports, the French contingent were synonymous for their speed and aggression and managed to find success against top European talents back on the first Black Ops game but since then, success for French teams has been minimal in comparison to the UK rosters. Thanks to some new talents which have emerged, success for the region looks to change. Natshay and his supreme sub-machine gun slaying broke into the upper echelons of top European talent towards the end of the World War 2 season under Monaco, a team which managed to successfully make it into pool play at CWL Atlanta back in 2018. Breszy was also a member of the Monaco team from Atlanta. The synergy between both players is apparent especially when attempting to break a hardpoint hill or shut down an aggressive push onto a Control zone. 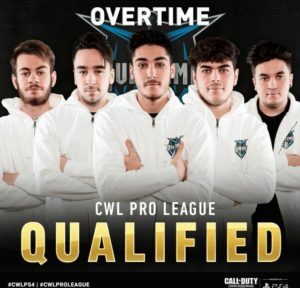 As one of the rosters that went under the radar at the CWL Pro League qualifiers, Overtime have a chance to ride the wave of momentum that has swept across continental Europe. Along with Heretics and Movistar Riders, France’s best team now have a chance to prove themselves against the very best teams in the world. Signs of this team causing several upsets throughout the league are already promising after beating Midnight Esports and Pittsburgh Knights on their way to qualification. Overtime are a team that should not be overlooked by their fellow competitors in the league. With more time competing overseas and the ability to practice against the best teams in the world, Overtime should be able to continue their impressive form and even challenge some of the more established North American rosters that haven’t lived up to their potential.